Kernow Coatings will showcase its new line of HP Indigo synthetics, featuring Cobalt Coating Technology, to users in Booth 19 at the upcoming Dscoop Conference. 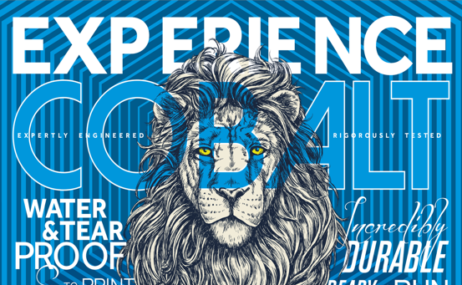 As part of the expanding range of HP Indigo printable materials, Kernow’s latest line features the company’s proprietary Cobalt Coating Technology designed to help customer’s maximize the range of materials available and provide optimal performance on press. The featured line of print media includes Elite white synthetic papers, vivid colored synthetics for specialty printing, and the company’s new MetaliK for HP Indigo. Building on 40 years of coating experience, Kernow Coatings has formulated its own coating system for the HP Indigo. The new Cobalt Coating Technology is a surface treatment designed to enhance the way synthetic media runs on through the HP Indigo and provides users with HP Certified print media guaranteed to print.The range includes a series of polyester, polypropylene and specialty synthetics aimed to help users take advantage of rapid turn times.